Surge protection is the only way to keep your valuable electronic devices safe throughout your home. While portable power strips can be effective in certain applications, whole house surge protection is on another level entirely. It’s a worthwhile cost-effective investment, especially considering how increasingly reliant we have become on electronic equipment, from the personal computer to our smartphones and tablets. We all know how unpredictable New England weather can be, and when a thunderstorm rolls in, lightning is not often far away. Floods and snowstorms also present challenges to the electrical grid, although in-home surges from other appliances pose the greatest risk. In this post, we’d like to explain a few good reasons to get a whole house surge protector in your Hartford home. 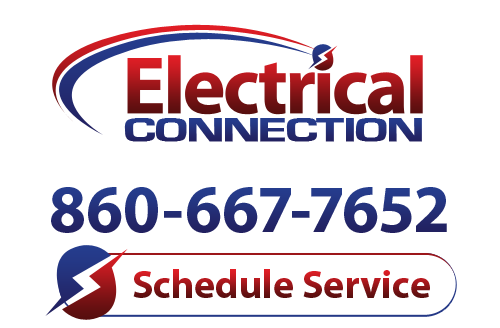 For more information, call Electrical Connection today! Comprehensiveness: Yes, it’s possible to outfit every single outlet in your home with a surge protector, but that still cannot protect the electrical appliances that are hardwired into your electrical system, such as your heating and cooling systems. One of the major benefits of whole house surge protection is it protects all the electronics in your home. Because it’s installed directly at the place where electricity enters your home circuit, it’s capable of blocking any possible surge throughout your home. Protection: Many of today’s stereos, flat-screen TVs, and computers would cost thousands of dollars to replace. While the surge protection device works to neutralize the incoming surge from without, it also regulates surges that come from within the home, those that may not completely fry your equipment at once, but increase the general wear and tear on the internal circuitry. Whole house surge protection makes sure that your electrical system is protected against major spikes in your electrical circuit. Cost-effective solution: Compared to the cost of replacing the major appliances and electronics within your home, whole home surge protection is a cost-effective security measure. This is why it is recommended by the National Fire Protection Association, as well as many other organizations. For more information about whole house surge protector in Hartford, call the experts at Electrical Connection today!